Blue Star Aristo Water Purifier in Kharkhana, Blue Star Aristo Water Purifier in Hyderabad, India - 500094, This Blue Star Aristo Water Purifier come up with 6-stage Purification Process, 10-inch Filter, and an Aqua Taste Booster of the Blue Star Aristo 7 L RO + UV Water Purifier ensures that you and your family lead a healthy life. This elegant and sleek kitchen appliance comes with a Child Lock Button, Tank-full Indicator, and a UV Fail Alert, among other features to give clean and pure drinking water every day. Prevent waterborne diseases and lead a healthy life with the Blue Star Aristo 7 L RO + UV Water Purifier that features a 6-stage Purification Process, 7 L Storage Tank, 10-inch Filter, and a High-purification Capacity to ensure your family's well-being. 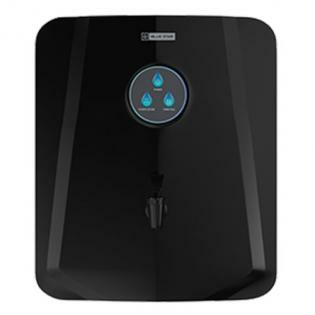 This water purifier features a pre-sediment filter, pre-carbon filter, sediment filter, RO membrane, UV lamp, and a post-carbon filter along with an aqua taste booster (ATB) to give you safe and clean drinking water. This Blue Star Aristo Water Purifier come up with 6-stage Purification Process, 10-inch Filter, and an Aqua Taste Booster of the Blue Star Aristo 7 L RO + UV Water Purifier ensures that you and your family lead a healthy life. This elegant and sleek kitchen appliance comes with a Child Lock Button, Tank-full Indicator, and a UV Fail Alert, among other features to give clean and pure drinking water every day. 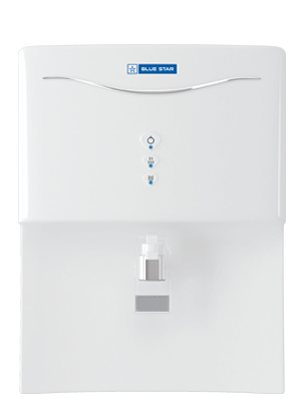 Prevent waterborne diseases and lead a healthy life with the Blue Star Aristo 7 L RO + UV Water Purifier that features a 6-stage Purification Process, 7 L Storage Tank, 10-inch Filter, and a High-purification Capacity to ensure your family's well-being. This water purifier features a pre-sediment filter, pre-carbon filter, sediment filter, RO membrane, UV lamp, and a post-carbon filter along with an aqua taste booster (ATB) to give you safe and clean drinking water.